Green Mini Demo Derby includes a mobile solar electric power generator that fuels a demolition derby made up of remote control cars. Businesses have sponsored race teams, with each team having their own driver, car, and uniform. 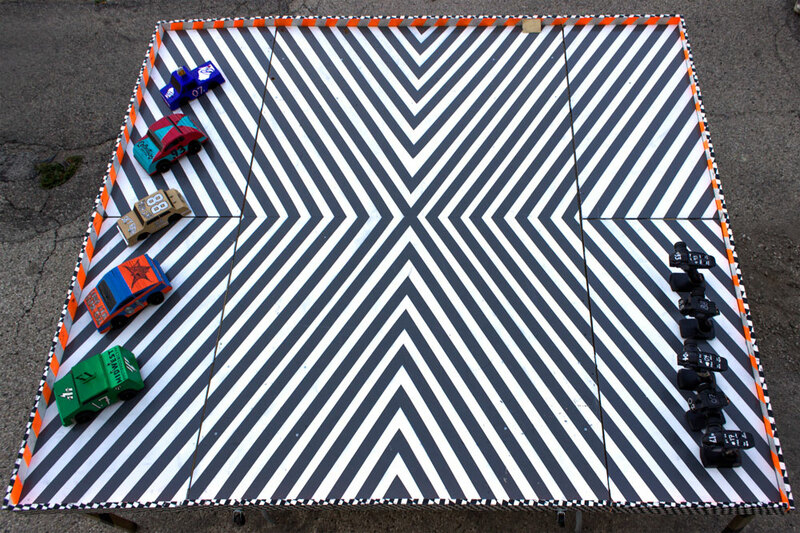 The cars have customized wood bodies and compete on a plywood course. There are multiple heats of between 4 and 10 cars, with the winners of each heat competing in a final race for the trophy. 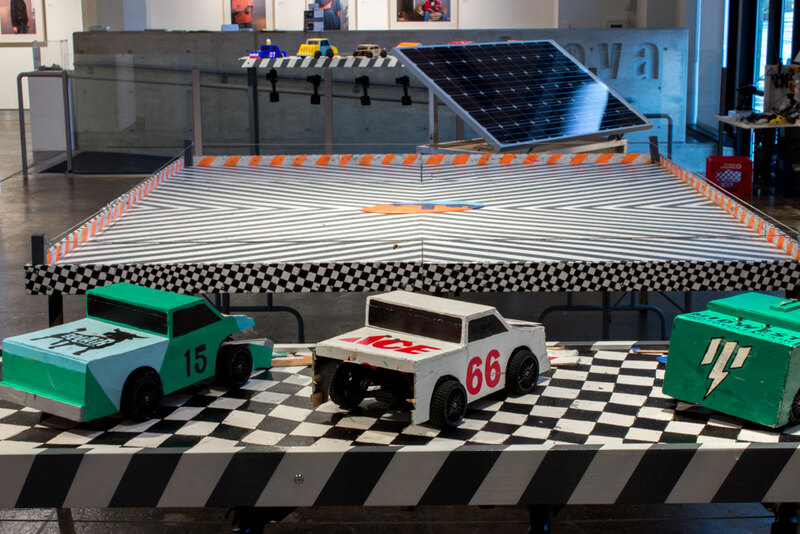 These competitions occurred over the course of the Mary L Nohl exhibition at Inova, Milwaukee, with the cars being displayed as they transform.